Love plants? Have a favourite you want to sketch? 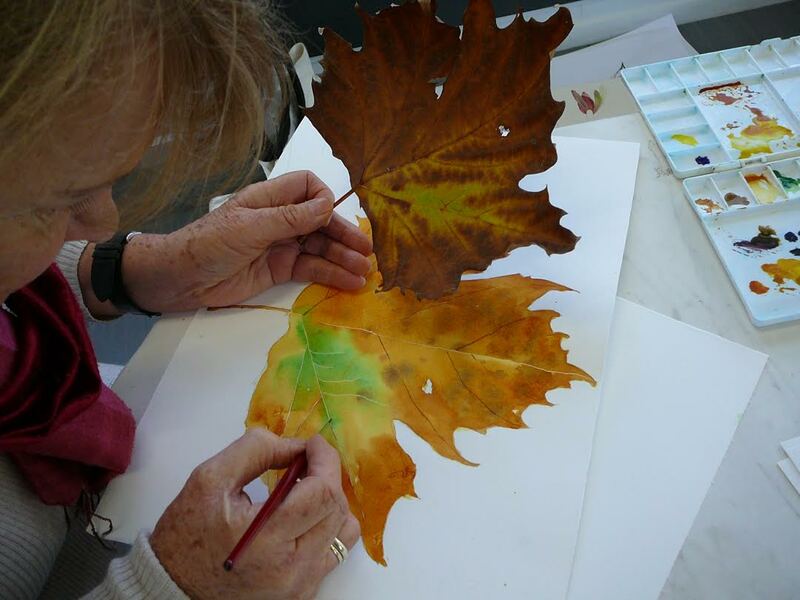 This workshop is an introduction to plant illustrations and is ideal for anyone interested in drawing and painting the botanical world. The workshop will be held offsite, at the Auckland Botanic Gardens. Bring your own materials. More information below course dates. Listen to Sandra Morris talking on National Radio about the upcoming International Exhibition of Botanical Art here. After a brief look at the history and contemporary development of botanical illustration, some basic plant anatomy will be explored. Flower structures and leaf shapes will be examined with the 'naked eye' as well as under a microscope. Exercises on observational drawing will be set, encouraging you to experiment with a range of drawing tools, such as pencils, charcoal, pastel and water colours. The Saturday will be an inside day learning techniques, and the Sunday will be outside in the gardens. 1 full sheet or pkt (any size) Stella Multi Matt paper. Please also bring along cartridge (suggest 3 x A1 sheets) and spare paper for practice drawings. Pen - 1 fibre tip pen (the best is Staedtler Pigment liner 0.05mm- this is the finest you can get and available at Gordon Harris). Bottle of black Indian ink. 1 Dip pen nib (Hunt 512 or 513 - fine) and nib holder. Fine embossing tool or empty ballpoint. Brushes – pref. sable/natural fibre if possible, otherwise get synthetic. 1x size 3 or 4, 1x size 6, and 1 x cheap brush for mixing colours. Liquid masking fluid (Pebeo brand is cheapest and best). Palette - with as many wells as possible. Come and see Sandra on Wed- Fri at Gordon Harris, 4 Gilles Ave, Newmarket, ph 520 4466- don't forget to mention you are doing my workshop and you will get 10% discount. Bring a water bottle, a packed lunch and snacks each day. The practical sessions are a little easier if you have something to sit on, so bring a fold up stool or chair if you have one. An easel is also optional.